Geared for Excellence, Professional workmanship, unrivalled service, optimum value for money and superior reliability, position RDG ahead of industry competitors. 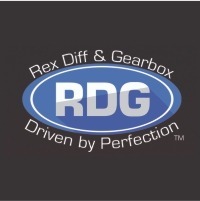 At RDG we take pride in our premises, our people and our service. We ensure that our workshops are clinically clean and equipped with the most advanced technology and experienced professionals.Our workflow is well managed and organised.All parts and services are covered by our 1 year 20 000km warranty. At RDG we are passionate about everything we do,, going the extra mile every day to ensure exceptional service.We are passionate about our people and they in turn are passionate about developing their experience and knowledge base, keeping ahead of intricate vehicle systems and stringent international service standards. Tags: MechanicGearbox overhaul, Complete gearbox repair , overhaul and remanufacture is our speciality, Clutch replacement, clutch kits and full flywheel refurbishment, Rear Differential, specialised diff repair, CV joints and steering boxes, Noisy or leaking CV’s and steering boxes are fully repaired here at RDG, Propshaft Propshaft balancing, repair.